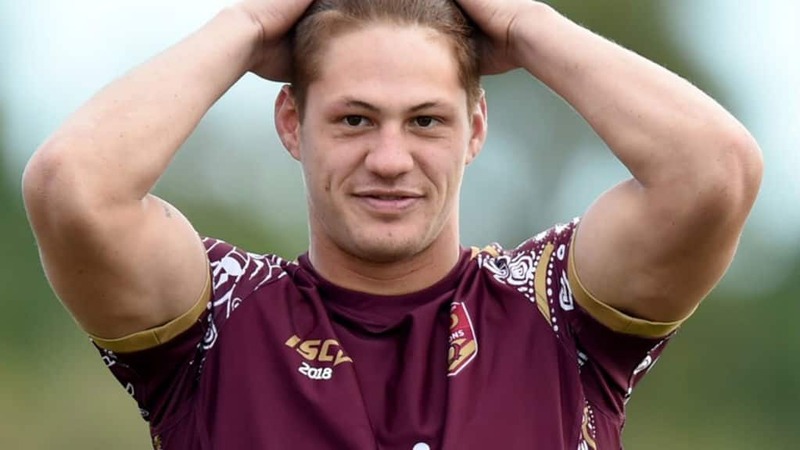 WHEN Kalyn Ponga runs out to make his debut for Queensland in Sunday's rugby league State of Origin match in Sydney, the Brisbane Lions will be wondering, "What if?" What if the Newcastle Knights sensation had signed the multi-year contract put before him by the Lions? What if Ponga was playing alongside Hugh McCluggage, Jarrod Berry and Cam Rayner? What if he applied his exquisite footwork and ball skills to AFL? The prodigiously talented 20-year-old was identified by Brisbane's academy recruiting staff as a 15-year-old playing rugby at prestigious Anglican Church Grammar School. His YouTube package at that age was ridiculous. Ponga joined the Lions Academy one day a week, often just kicking a footy after school with one of their staff members. He even played a game for the Academy. With Ponga a star at both rugby and league, offers flooded in and he took a deal to play with the North Queensland Cowboys in 2016. He made his debut in that year's finals series and months later inked a four-year deal with Newcastle that would start in 2018. The deal reportedly made him the highest paid teenager in NRL history, and in the process dashed the Lions hopes of luring him across codes. Academy manager Luke Curran told the club's podcast The Roar Deal last month just how close it came to snatching Ponga back from league. "I think it came down to him being a Lions player or a Knights player," Curran said. "There was genuine interest from him and his family. We had that relationship before he went to Townsville. "He really enjoyed AFL as a game, it was a new challenge for him and one he picked up really quickly, which made that process easier to sell the dream. "We were certainly in the mix. I think the bigger financial offer from Newcastle blew us out of the water." Curran said despite the small sample size they'd seen of Ponga in the 18-man game, it was more than enough to warrant an offer. "He certainly had shown a fair bit of talent athletically and skill-wise to warrant us giving him an offer. "We always watch and still claim him as one of ours." But when he plays on Sunday he won't be, he'll be one of Queensland's.